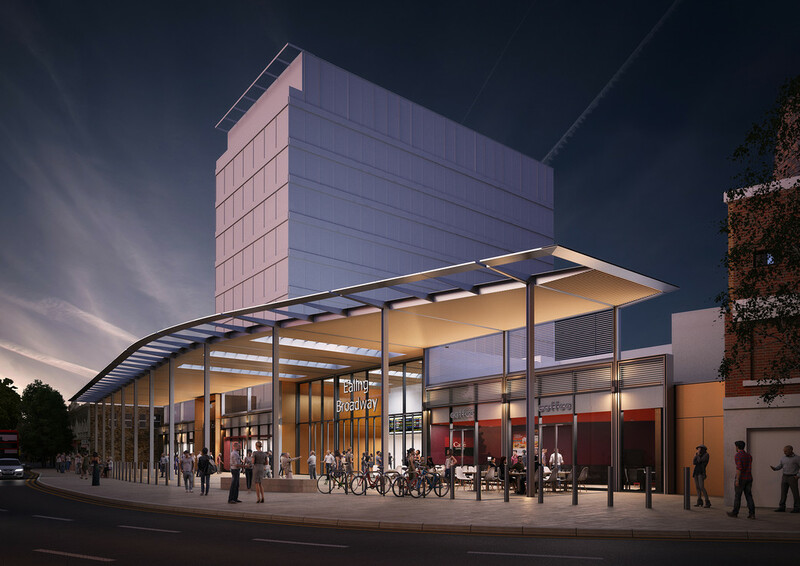 Crossrail submits plans for major improvements to Ealing Broadway station - Crossrail . For information about the Elizabeth line please visit the Transport for London website. 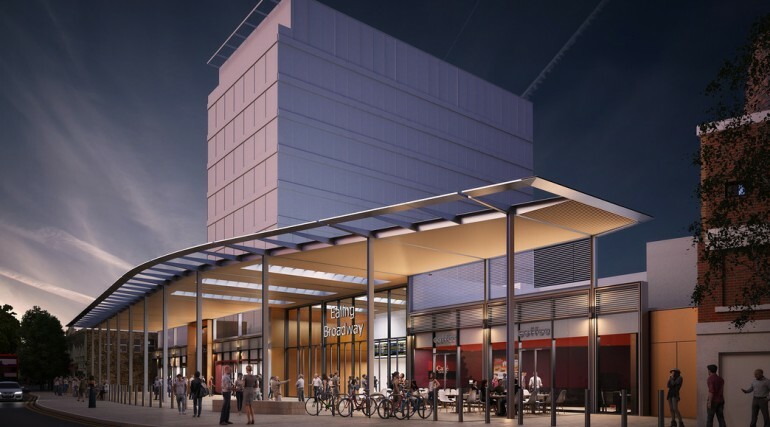 Crossrail has submitted proposals for major improvements to Ealing Broadway station for approval. When Crossrail fully opens in 2019, up to ten services an hour in each direction will serve Ealing Broadway, allowing passengers to get to a range of destinations more quickly and easily. The journey to Bond Street will be 11 minutes quicker and passengers travelling to Canary Wharf will be able to reduce their journey time by 18 minutes. The station will also be an interchange with the District and Central line on the Underground as well as National Rail services. 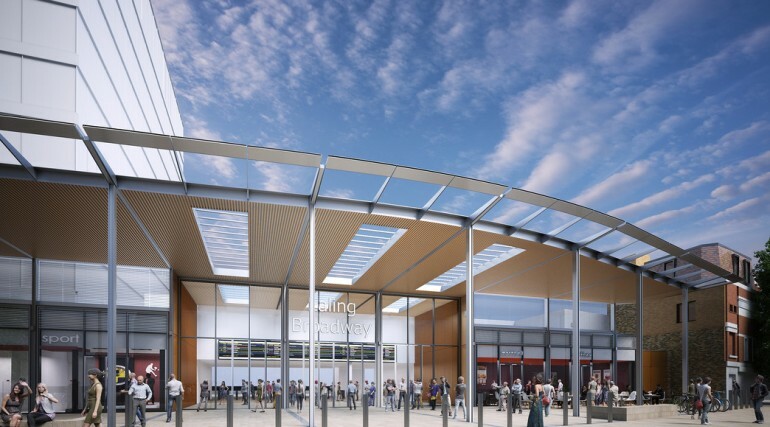 The proposed plans, which have been submitted to the London Borough of Ealing, would replace the existing cramped entrance and ticket hall with a new glass structure that would let in much more natural light and be significantly more spacious. In addition, new lifts and staircases will make it easier for passengers to get around the station. New information screens and communications systems. A report commissioned last year by Crossrail predicted that, by 2021, property values around Ealing Broadway station can expect to have increased by 27 per cent above the average rise for the London Borough of Ealing. 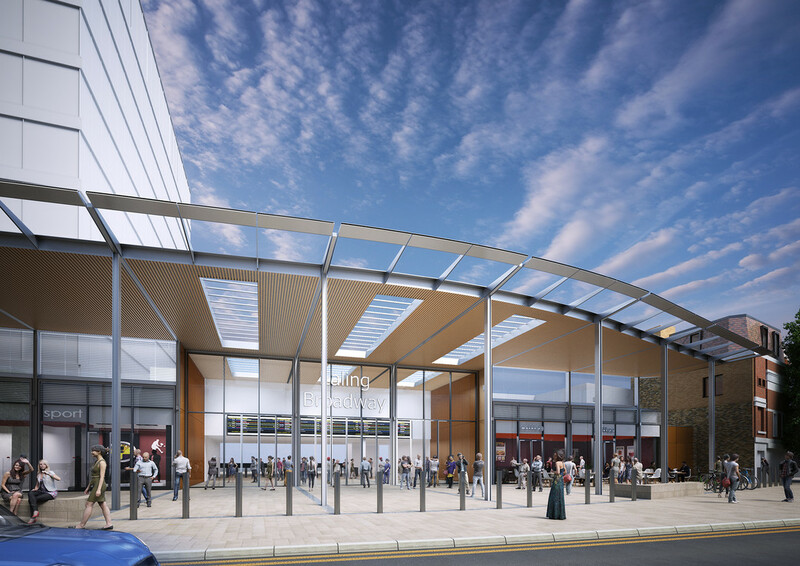 Matt White, Surface Director at Crossrail said: “We believe that our proposals will significantly improve the station, providing a bright spacious entrance and making it easier for passengers to get from the ticket hall level down to the platforms. The Crossrail route will pass through 38 stations and run more than 100 km from Maidenhead and Heathrow in the west, through new twin-bore 21 km (13 miles) tunnels below central London to Shenfield and Abbey Wood in the east. When Crossrail opens it will increase London's rail-based transport network capacity by 10%, supporting regeneration and cutting journey times across the city. Crossrail services are due to commence through central London in 2018. Network Rail is a key partner in Crossrail. Network Rail is responsible for the design, development and delivery of the parts of Crossrail that are on the existing network. Its work will integrate Crossrail with the national rail network. The work includes upgrading 43 miles of track, improving 27 stations, and work on 20 bridges.